Happy Thursday people! I had another nice stay at home day. I took the opportunity to work on my bee block for Amy. She's a rebel, and she asked for us each to make the letter of our first name with the instructions from the Spell it with Moda blog hop. She already has Renee's block, you can see that on Amy's blog.. Very clever Renee. My favorite quilt that was made using those letters was by my instagram friend Yardgrl60. I love all the cute blocks that she added to the alphabet, it really made the quilt special. My "P" was pretty easy to make and it went fast. Because we had such a nice day, I pulled some weeds and enjoyed the sunshine. I have other sewing projects in the works, and I can't wait to show them to you. I love sewing. I just wish I had a better attention span instead of starting and stopping and wandering around. Let me share what we've been doing: SHOVELING SNOW and breaking up ice floes again! Seriously, the midwest is so over this weather. Good thing we can work with spring like fabrics to help us through this dark season of life. Tomorrow we are to have sunshine and 50's. People in these parts will shed their parkas and don shorts and flip flops. CAN NOT WAIT! BTW, love your purse you are working on! Headed up your way this weekend, need a granddaughter hug. No sewing for weeks now, always on the run....maybe some hexies in the car! Have a great weekend Pam. 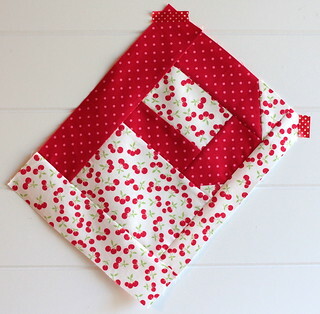 Your letter "P" is so cute in your fabrics!! Well your creativity hasn't been hindered by your starting and stopping and wandering around!! I love the fabric of your "P". I got the pattern for the mini letters, finally. Have made "A" and "B" so far. Those letters are cute! I just couldn't squeeze in another project. And I'm going to take a break from sewing on national quilting day! Hey...I need your mailing address to send you a copy of my book, too! Can you email it to me?